I have taken many clients successfully through The Thrive Programme® via Skype. This is a convenient and effective way to undertake the programme and you are not restricted to any particular geographical area in order to work with me. 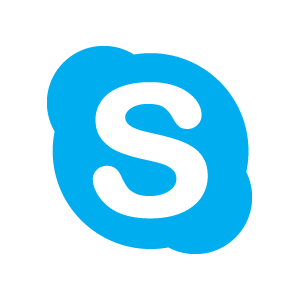 Also, for those with a busy schedule, Skype allows the programme to be undertaken wherever you are! Thrive via Skype is just as successful as The Thrive Programme® being delivered face-to-face. The Programme is not adapted in any way, shape or form when delivered via Skype. Whether we sit face-to-face or via Skype, I am dedicated to teaching you how to Thrive! I am happy to offer free consultation for all potential clients, whether this be face-to-face or via Skype. Simply contact me through Skype, Email, Text or Phone and we can arrange this. During this session we can discuss any questions you may have, and whether the programme is suitable for yourself – we can also discuss which Thrive manuals you will need. Click the button below to download Skype today!